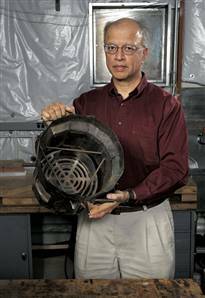 The Flames of Hope: A Berkeley physicist has found a way to help keep Darfurians alive, by building a better kitchen stove. Published in the November 2007 issue. TEXT from VOA News pertaining to Berkeley improved stove. I returned two days ago from Darfur. Susan Amrose is still in Khartoum, will return tomorrow. We visited El Fashir (and Abu Shouk camp), Nyala (and Otash camp), and of course Khartoum. Our hosts for this trip was the UN Population Fund (UNFPA) and CHF International. I would like to send you all the powerpoint presentation that Susan and I gave at the meetings of NGOs and funders in Khartoum, Nyala and El Fashir, organized by UNFPA. We think the presentations were very well received.